A true road warrior, Jones spent hundreds of miles on the road playing in honky tonks, fairs and even packed arenas, opening for international country music icon Bill Ray Cyrus. 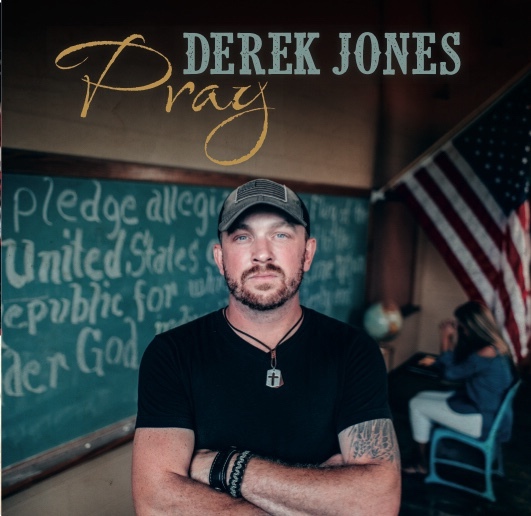 Recently, Jones made his national television debut on "Picker & Ben," performing "Some Gave All" with Cyrus. Later this month, Jones will travel to Australia to open several more shows. Jones built his eager fan base while developing his trademark, patriotic songs after serving as a US Navy Veteran in Iraq. When Jones returned from overseas in 2003, he picked up a guitar and never looked back. Since then, Jones has been writing and recording for Pray, which features two tracks Cyrus co-wrote. "This record has been a long time coming and I’m so stoked to have worked with such amazing people on this! My good buddy, Billy Ray Cyrus, and I worked together on a few of the songs and I cannot wait for y’all to put your ears on this! This is one that I’m extremely proud of couldn’t be more happy with the end results," says Jones. The Hartford City, Indiana native continues playing for his own army of fans throughout the country and will be releasing additional tour dates soon. Be sure to follow Derek Jones on Facebook, Instagram, Twitter and visit DerekJonesLive.com.